Being a woman brings with it lot of challenges to achieve and maintain optimum health; be it achieving one’s target weight or balancing one’s hormones. Hence, we thought of addressing your diet-related concerns on this International Women’s Day. 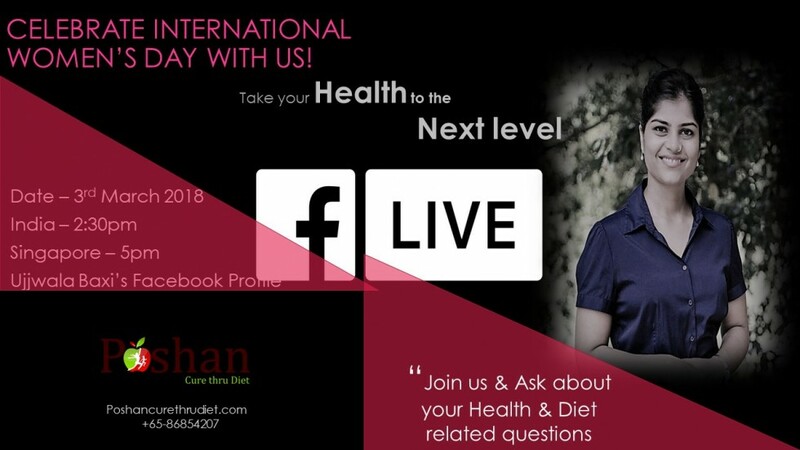 So if you have any burning questions regarding your diet, health, wellness, hormones, feel free to ask us on our fb live on 3rd March. Do take note of the time and log in from any part of the world. The best part is that it is a FREE EVENT!